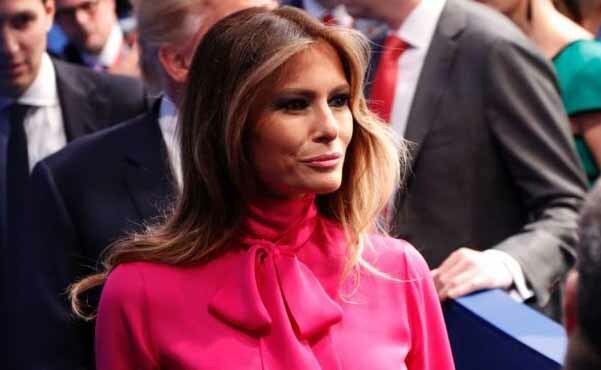 Melania Trump is on the campaign trail defending her husband as one would expect - but as a woman you know what she is feeling and saying behind closed doors. Her interview with CNN's Anderson Cooper was her opportunity to "stand by her man" - kind of like Hillary in 1992. Trump is one of those men who plays the role of the loving doting husband and dad at home - but away - as he often is - we find the cliche player with money and power. We know how families defend these men for any number of reason. Years ago women would stay in a marriage like this - today if they can get out they leave. With Trump's track record it's doubtful Melania, at 46, buys into his behavior and will leave - or the marriage will change when this fiasco is over. She never appeared interested in politics or being the First Lady - seemingly shocked when the media unraveled things about her past. This is one of the reasons many family men won't run for office. Everyone has a skeleton or two in their closet - when they come out and the story is embellished - life is never the same. Most have concluded that political office is not worth the sacrifice unless driven like Hillary for all of her life. She'll finally win and then what?